Troy Pilon couldn’t stop smiling when talking about his daughter, Jade, who is going into grade six this school year. She was one of the over 600 kids enrolled in the Winnipeg Jets Hockey Academy last year, and her experiences in the program have helped bring her and Troy closer together. It’s one of many stories the True North Youth Foundation helps to create. Now the Foundation is thanking the generous people of Manitoba for their support with a new campaign, and is also introducing a new tagline: Empowering Potential. 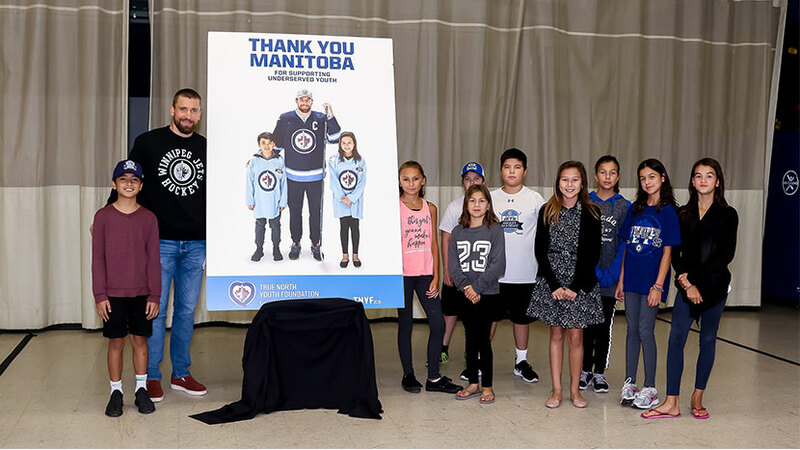 Starting September 4, billboards around Winnipeg will showcase kids standing side-by-side with Winnipeg Jets players, including captain and Foundation ambassador, Blake Wheeler. “To see first hand the kids out here, that’s what really makes it meaningful. To see the impact it makes on their lives. The resources they have out here that maybe they wouldn’t have,” said Wheeler after unveiling one of the new billboards. Wheeler isn’t the only player involved. 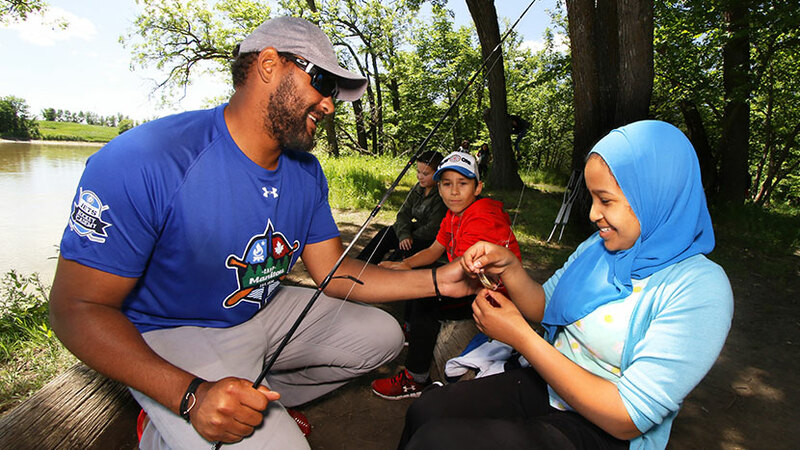 Dustin Byfuglien, Mark Scheifele, Nikolaj Ehlers, and Adam Lowry will lend a hand with programs such as the Hockey Academy, Project 11, and Camp Manitou. Last year, $2.4 million was raised through 50-50 tickets and attendance at premier events like the Winnipeg Jets Gala and Flatlander’s Beer Festival, helping more than 18,000 Manitobans benefit from Foundation programming. In total, 13.5 million has been reinvested into the community through the Foundation and its support of local non-profit organizations since 1996. “I would say that being the smallest market in the NHL, our fan base and our community do the most for their community. It says a lot,” said Green. “Our players, our members of our True North Sports + Entertainment family see that, and it motivates us all the time. You can see how it motivates the players by having Blake here, and their families. They see the opportunity they have to be an integral part of our community. That work will continue to get bigger and better. The Hockey Academy has 750 students enrolled for 2017-2018, an increase of 150 since 2011. Meanwhile, Project 11 – which began in 80 schools in 2015 – will have its curriculum in 600-800 schools this September. Camp Manitou, which has been operated by the Foundation since 2014, made a number of additions in 2017, including 12 new cabins to provide campers with their first overnight experience in July. “To be a part of this team, to have the ability to have this type of impact, and live it on a day-to-day basis, is very surreal,” said Green. “For the Winnipeg Jets to come back to this community, and the Manitoba Moose, on top of the entertainment value, we’re having the opportunity to really impact the youth, which I would suggest are our best natural resource.